There’s no question winter has come early in the Adirondacks this year. Some ponds and lakes are freezing up, and people are already hitting groomed and backcountry ski trails. 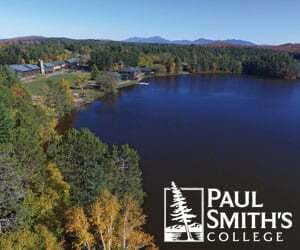 Paul Smith’s College professor Curt Stager has been tracking ice conditions on Lower St. Regis Lake since 1985. 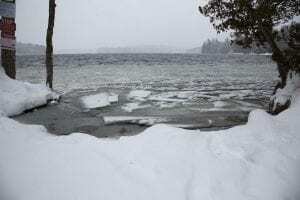 The first freeze-up of the lake this winter took place on Nov. 15, making it the earliest on record since he’s been tracking conditions, he said. The second-earliest freeze-up was Nov. 19, which took place in 1986 and 1992. Dewey Mountain in Saranac Lake was one of many Nordic ski centers that opened this past weekend in the northern Adirondacks. It’s common for smaller Nordic venues to open in December, when conditions are often mediocre due to lack of snow. “We’ve never opened this early, and we’ve never opened under such great conditions either,” said Jason Smith, who manages Dewey Mountain and has worked there 15 years. A storm last week left more than a foot of snow on the trails. 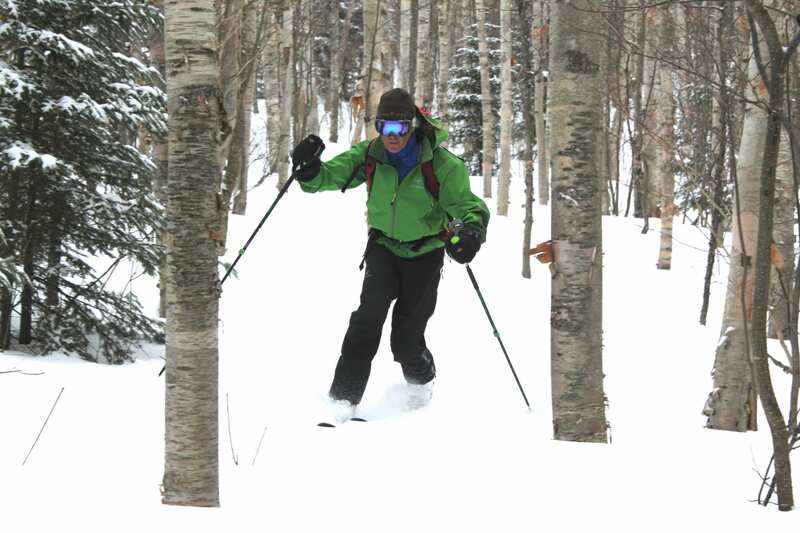 Backcountry ski trails have opened, too. Some years they don’t become skiable until January. 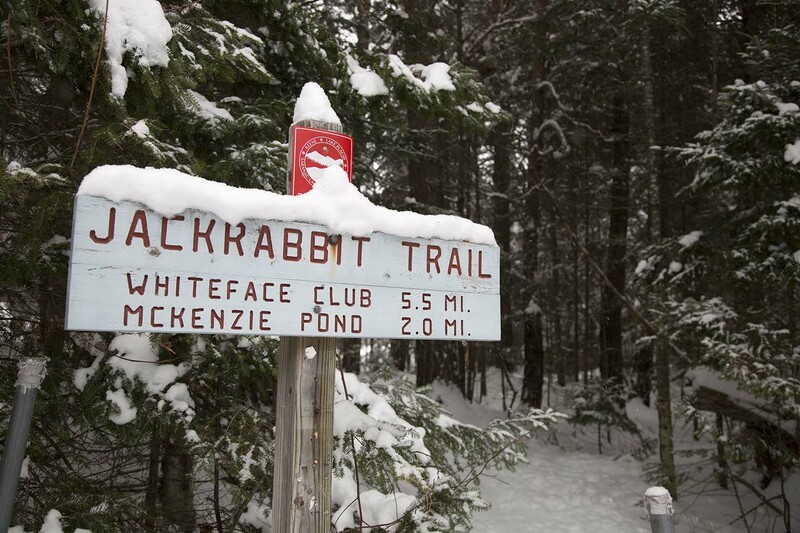 The Barkeater Trail Alliance is reporting that all sections of the Jackrabbit Trail, which stretches from Paul Smiths to Keene, are skiable. The base depth was 8 to 12 inches, according to the BETA website, even before snow fell steadily on Wednesday. 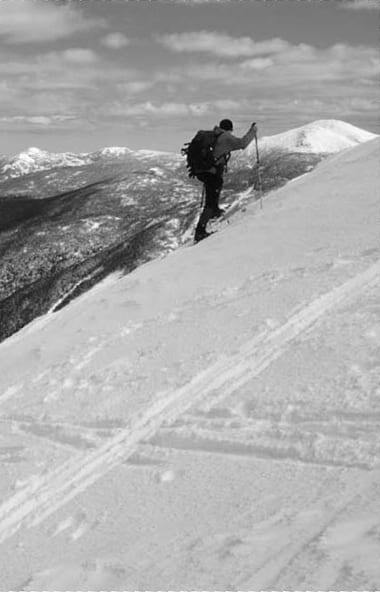 A recent state Department of Environmental Conservation’s conditions report had the snow depth at Lake Colden at 15 inches, and there was more than 3 feet of snow at 4,000 feet in the mountains. Stager said this year’s conditions go against recent winter trends. In most recent years, ponds and lakes have been freezing up about a week later than they have traditionally. 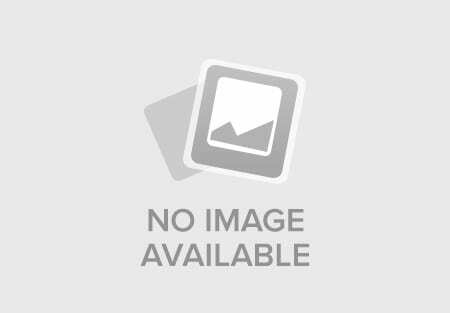 He said that climate change science looks at the long-term trends. The current conditions also don’t necessarily give an indication about what type of winter we’ll have. 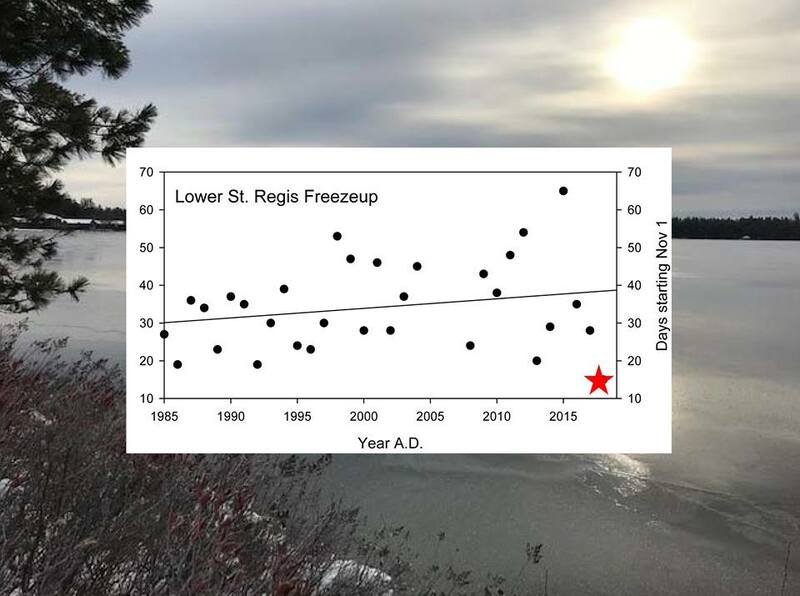 A graph with freeze-up dates for Lower St. Regis Lake made by Paul Smith’s College professor Curt Stager.